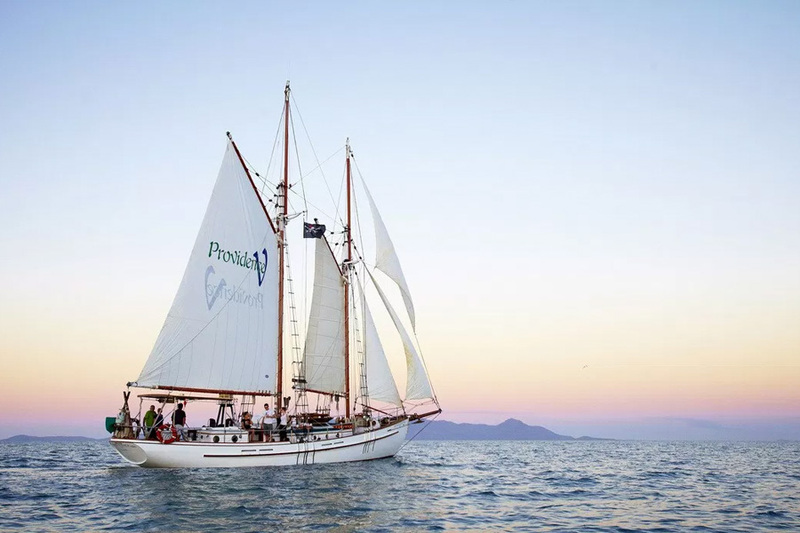 Enjoy a sunset sail on board the tall ship Providence V. Our classic sunset sail takes you out across Pioneer Bay where we catch the breeze and make our way around. You are welcomed on board with a complimentary glass of bubbles and will slip into the sunset in style as we head out across the bay. We provide nibbles including bread/cheeses/dips and seasonal fruit as you enjoy the evening. The evening sunset sail departs daily from 5:00pm- 7:00pm and cruises across the Whitsunday passage to return back to the marina after sunset. Providence has long been a Whitsundays staple and is a replica of the American Blackfish, a Gloucester schooner, which were some of the first boats to compete in the America's Cup. She also starred in a Hollywood movie in 1992 Survive the Savage Seas, which was filmed in Australia. Providence departs from Abell Point Marina, the main marina in Airlie Beach in the Whitsundays. Please meet at the Northern End of Abell Point Marina, near the Kiosk Cafe and roundabout, 15 minutes before departure time for boarding. 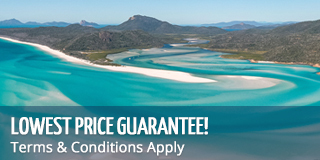 Providence V also offers a day sail taking you to Whitehaven Beach, Hill Inlet, and giving you a chance to snorkel the inner reef of the Whitsundays. Please bring a hat and sunscreen, money to purchase drinks onboard, a rain jacket during summer months (Jan-April) and warmer clothes during winter months (June-September). All cancellations made result in 25% cancellation fee of the total price. Full refund if we cancel sail due to weather or you can reschedule to another date free of charge. Passengers are able to transfer tickets to another date free of charge. No shows will be charged outstanding amount. Travel insurance is highly recommended particularly during wet season (Jan-April).